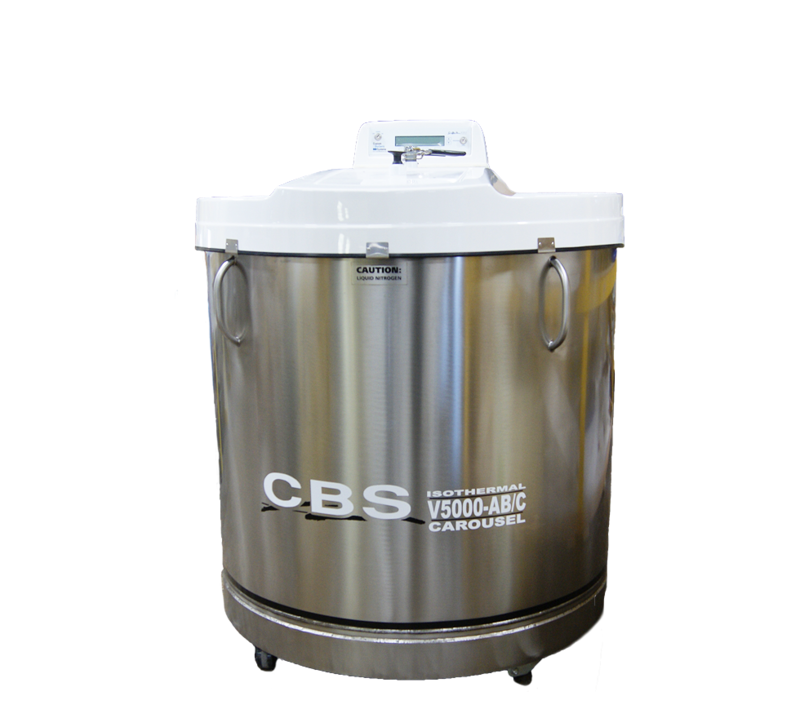 Custom BioGenic Systems' Isothermal Carousel Liquid Nitrogen Vapor Storage System combines the innovative -190 degree celsius Isothermal design with a small opening and an interior rotating carousel. The small opening provides low liquid nitrogen consumption, a lightweight, user-friendly lid and a consistently low temperature in the freezer. The interior carousel is rotated by a unique ratcheting handle on top of the freezer that will position samples to the front of the freezer, even with the lid on. Each ISOTHERMAL CAROUSEL system includes the advanced 2301 auto-fill / monitoring controller to provide security and ease of operation. Custom BioGenic Systems has two ISOTHERMAL CAROUSEL models available and an extensive selection of inventory racks to store any size tube, vial, box, microplate, etc. to complete the system. Custom configurations can also be designed to meet any requirement.